Water bottle irrigation systems have several benefits. 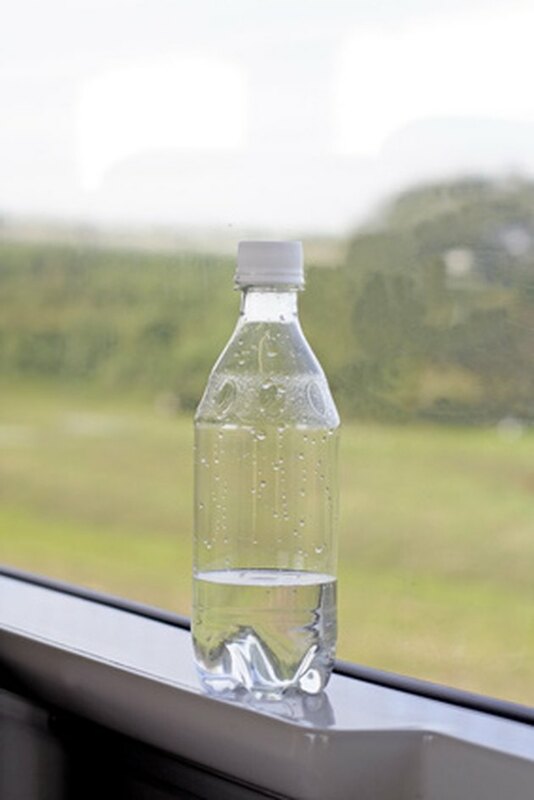 By using water bottles to irrigate, you will be recycling them and saving them from ending up in a landfill. Water bottle irrigation systems will help keep your plants hydrated throughout the day. You will save yourself a lot of money by building a water bottle irrigation system, rather then purchasing a system and having it installed. The water bottles are buried next to the plants, allowing water to get directly to the root system for better hydration. You can also water your trees with a water bottle irrigation system. Recycle water bottles at home by creating an irrigation system. Gather your empty water bottles. Remove any labels from the bottles if applicable. Cut off the bottoms of the bottles. This will create a hole big enough to pour water into for the irrigation process. The large opening will also be used to catch rain water for irrigating. Remove the caps and drill four to eight holes into it with a size 70 drill bit. The number of holes will affect the rate of drip. For slower drips, drill fewer holes. The holes must be small. Place the caps back on the empty water bottles. Dig holes next to each plant that you want to water. The holes must be deep enough to bury at least half of each bottle. Insert the bottles into the holes, cap side down. At least 1 inch of the bottle must remain unburied. Make sure that dirt does not get into any of the bottles as it can clog up the holes you drilled. Fill each bottle with water. When the bottles are empty you must fill them again. The bottles will usually need to be filled once a day, depending on the size and amount of direct sunlight they are in.